The internet, ever since its conception, has served as an important part of everyday business. Nowadays, we conduct most of our transactions online – from paying bills to setting up sales appointments. Moreover, it has also given businesses innovative ways of reaching out to their public, via demand generation and other marketing activities that supply a fresh array of sales leads to track and close. But one important thing to note about the internet is that it has provided enterprises (big or small, B2B or B2C) a leveled playing field for promoting their products. The worldwide web is above all a free platform of expression, where everyone is allocated an equal opportunity to be heard by their target audience. This pertains to net neutrality which underpins the importance of treating internet data fairly, particularly by internet service providers or ISPs. The Open Computing Facility based in the University of California-Berkeley sums it up clearly as a “networking design paradigm” arguing that “no bit of information should be prioritized over another.” It is clear among many however, that this principle can barely stand in the face of big data manipulation. It is now obvious why this issue should be a big deal to B2B companies. Imagine this: as a B2B company, you use the internet mostly to prospect for leads. Of course, the quality of leads you are going to encounter depends on the amount of information available about such leads, which can be highly impacted if a big competitor decides to pay its ISP to improve its own prospecting activities. With only a standard data plan, you wouldn’t be able to prospect for high quality leads because a bulk of them has already been munched up by the competition. Net neutrality has become a hot issue in recent months. 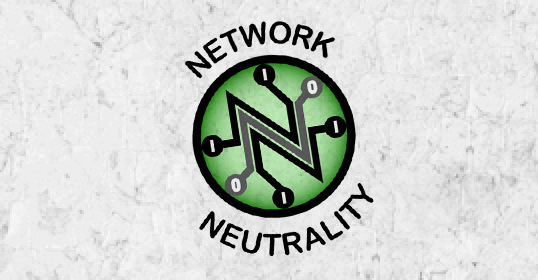 People from across the United States and elsewhere in the globe are calling for the Federal Communications Commission to uphold net neutrality to disallow big corporations from paying ISPs to prioritize their data traffic – or slow down that of their competition. How about you? What is your stand on this very important issue? Leave a comment below.